Healthy eating doesn’t have to be complicated; in fact it’s usually small changes that make the biggest impact! Complicated diets are difficult to follow long term and the best diet is the one that you can stick to. These simple swaps and hacks are easy, tasty and can fit into your current eating habits. Try some of these fun swaps! Everyone loves a crunchy, salty snack and usually people grab the chip bag, but try switching to popcorn! Popcorn has less fat and carbohydrates than chips. There’s also more fiber in popcorn which keeps you fuller longer. 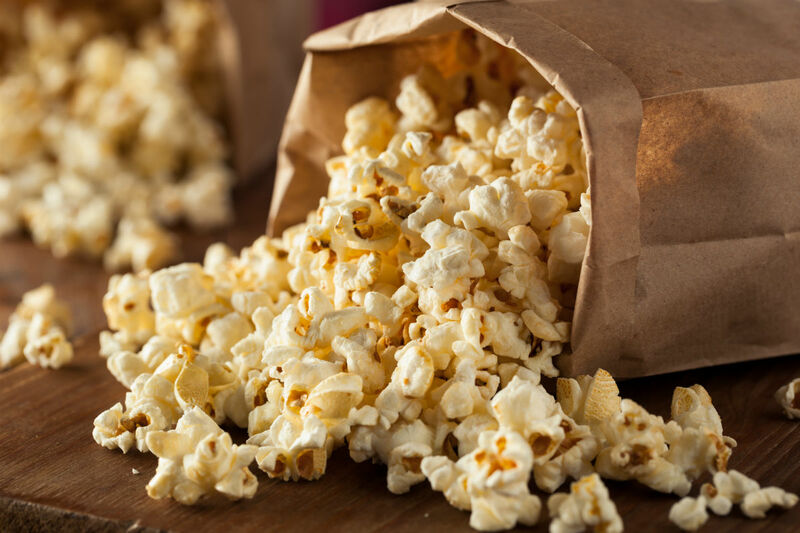 Health Happy tip: pop your own kernels in a brown bag in the microwave and add 2 tbsp margarine or canola oil. Pop and juice have lots of sugar which can cause high blood sugars in people with diabetes. Instead add some fresh or frozen fruit to regular water or soda water to add flavor. Alternatively, diet pop is a better choice than regular pop as it has no added sugar and is not sweetened by artificial sweeteners. Everyone loves ice cream or a frozen popsicle in the summer but they can both be very high in sugar and fat. Instead, make your own! Freeze Greek or regular yogurt in a popsicle mold and add frozen fruit. Let chill overnight and now you have some delicious frozen treats for the whole family. Bagels are a popular breakfast item but they are very high in carbohydrates and calories. Instead switch to two pieces of toast with peanut butter for a well-rounded breakfast or snack. Two pieces of toast have half the carbohydrates and half the calories. Health Happy Tip: Choose whole wheat bread instead of white or rye bread for more fiber! Everyone loves a creamy dip or dollop of sour cream, but sour cream is high in fat and calories. Switching to plain Greek yogurt adds protein and has a lot less fat. The taste is very similar so you don’t need to sacrifice the creamy taste. Instead of meat every day, add some fish into your diet. Fish is high in protein, provides healthy fats like omega-3 fats and it is also super tasty! There are many ways to prepare fish and many varieties to choose from. Subbing out one meal for fish instead of red meat can decrease your fat consumption for the week. Use your own locally caught fish for an even better fresh taste. Candy is high in sugar and has very little nutritional value. Instead of a sugary treat, switch it out for frozen blueberries or strawberries. These fruits are very sweet without the extra sugar, and frozen berries are more affordable than fresh produce. For an even better snack, dip berries in yogurt and freeze overnight for a sweet treat. Many dips are high in sugar and add lots of calories to our side dishes or salads. Instead of ketchup or ranch choose mustard-based dips and oil-based dressings (olive oil and vinegar). This is an easy way to decrease extra sugar and fat with our meals. Swap in more vegetables (half your plate) and decrease starches like rice, potatoes and bread (starch should be ¼ of your plate). This plate shows a balanced meal with lots of good protein, carbohydrates and vegetables. Switching from crackers to celery and carrot sticks is a great option to add more veggies and fiber into your diet. Crackers are high in refined carbs and fat, and it’s easy to eat a whole box! Switching to veggies is a healthy swap for the whole family.